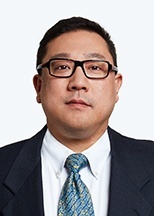 S. Tony Ling is a partner in Honigman’s Employee Benefits Practice Group. For over 20 years, Tony has advised senior executives, boards of directors, compensation committees and human resources professionals on a wide range of matters, including mergers and acquisitions, ERISA, Internal Revenue Code Sections 162(m), 280G and 409A, third party administrative agreements, employment agreements and separation agreements. Tony has developed a reputation for being a valued and trusted advisor by building trust through thoughtful and timely advice. Tony has managed multi-jurisdictional legal teams in several significant international acquisitions and divestitures. He has also represented a target company’s 20 person executive management team in an acquisition by a public company focusing on executive compensation and employment aspects of the transition, including Code Sections 280G and 409A. In addition, Tony has managed a cross-disciplinary team (tax, IP and insurance) in negotiating multi-million dollar total benefits administrative services agreements and negotiated and reached a favorable client settlement in a DOL investigation at a fraction of the DOL’s initial demand.